I have always been a huge fan of Oriental Trading. I remember when I was a kid, I would lay on the porch with a permanent marker and the OTC catalog and circle all of my favorite things. They have always been one of my favorite companies,and one of my favorite parts of being a blogger is getting to work with them! We buy a ton of homeschool stuff from Oriental Trading, because they have the best prices and I feel like I get the most bang for my buck when I shop with them. I guess you can say that Oriental Trading Company and I have a history together. So, it's no surprise that when it was time to shop for stocking stuffers this year, I turned straight to them! It really doesn't matter what you like to put in your kid's stockings, Oriental Trading has what you need. If you like to stock with candy, they definitely have you covered there! Is your thing art supplies or school stuff? No problem. Toys or games more your style? They've got that too. 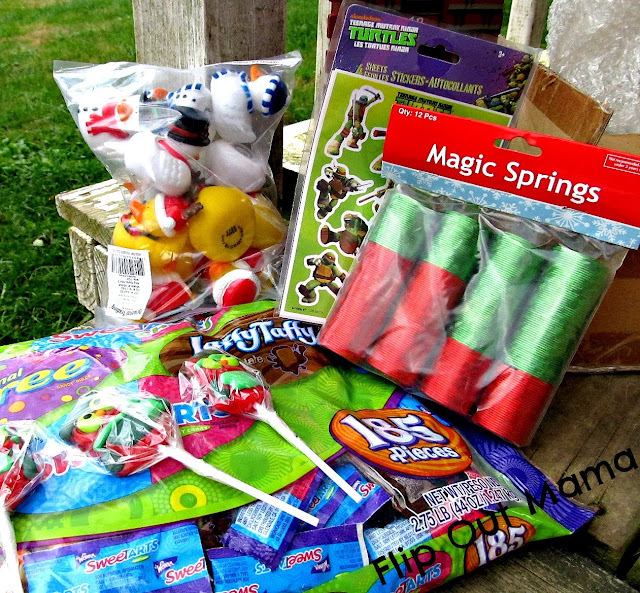 I love to fill our kids' stockings with a ton of different stuff... They usually get some candy, some toys or games, and then some useful stuff like toothbrushes, toothpaste, pencils, etc.. 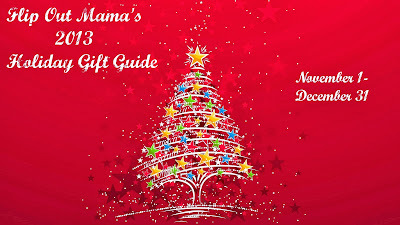 I almost always put one really extra special thing in their stockings too, like a DVD or CD, video game, ear buds, etc.. This year I found almost everything I need from Oriental Trading, and a bunch of extra stuff too! As if that wasn't enough, Oriental Trading has SO much more than just stocking stuffers! 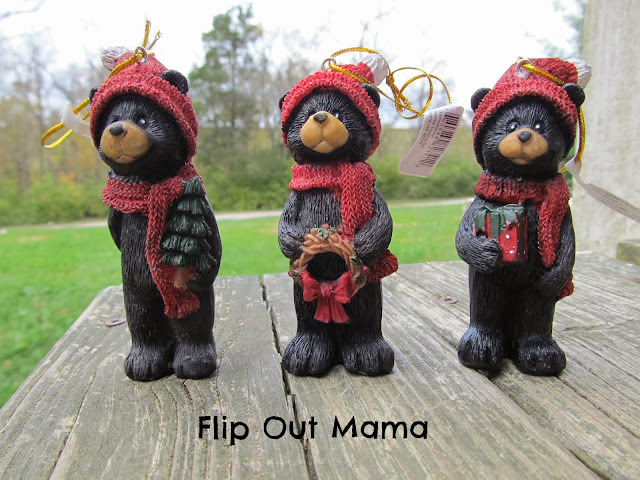 I also was lucky enough to pick up these adorable black bear ornaments! I am super obsessed with black bears, since they remind me of the Smoky Mountains! These adorable bears come in a set of twelve, and I love seeing them all on my tree! They are so cute! 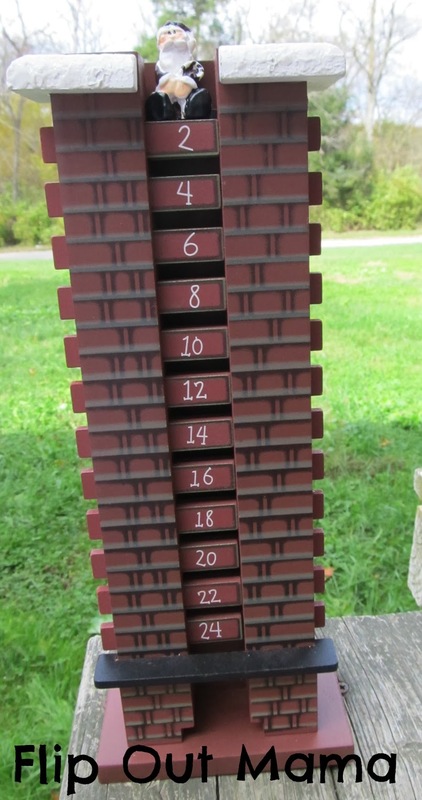 I also was lucky enough to pick up this adorable Santa chimney countdown calendar! I love it! It has 25 little pegs, and you pull one out every day until Christmas. As you pull the pegs out each day, Santa drops further and further down the chimney! I love this thing, and my boys are so excited to start pulling the pegs out on December 1st! As you can see, Oriental Trading really does have anything that you might need for the holidays! Besides stocking stuffers and decorations, you can get all of your holiday party supplies there, as well as gifts for all those hard to shop for folks on your list! And, if you can't decide what to get, give them an Oriental Trading gift card! 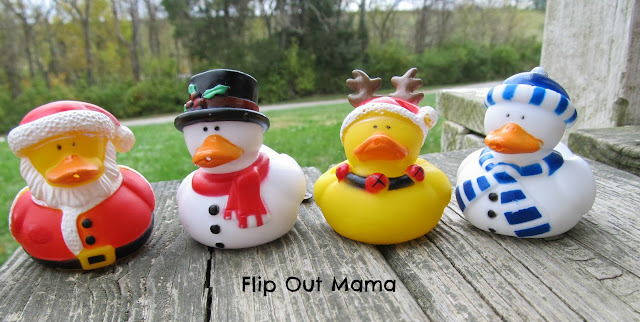 Everyone can find plenty from OTC to make them very happy this holiday season! If you are still needing Christmas inspiration, make sure to check out Oriental Trading's annual holiday website, Free-N-Fun Christmas! 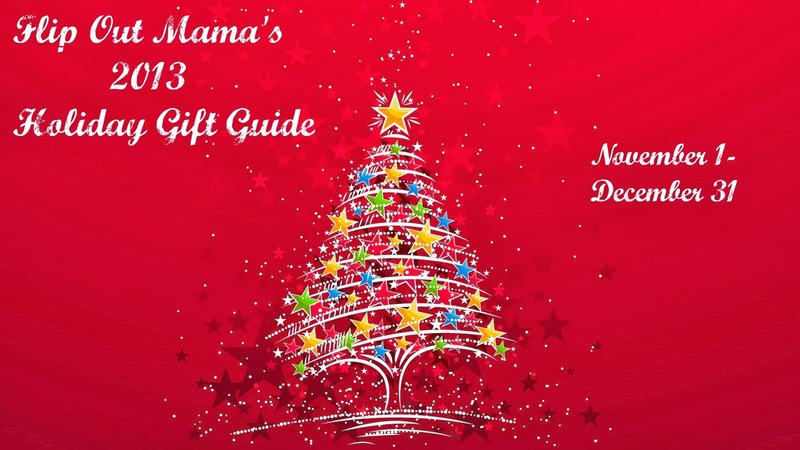 It contains so many different gift ideas, printables, crafts, recipes and more, and it's sure to keep you motivated and busy all through the holiday season! OTC always has great prices, but make sure you check their website before you order. They are always offering deals and promotions, like free shipping, so you never know what kind of great deal you'll get! I promise, you won't be disappointed! Make sure to follow them on Facebook, Twitter, and Pinterest too so you can stay in the loop on all the great deals! Go on, check out OTC, you won't be sorry! Disclosure: I received sample product in order to facilitate this review. Although sample products were received, all opinions, as always, are my own.